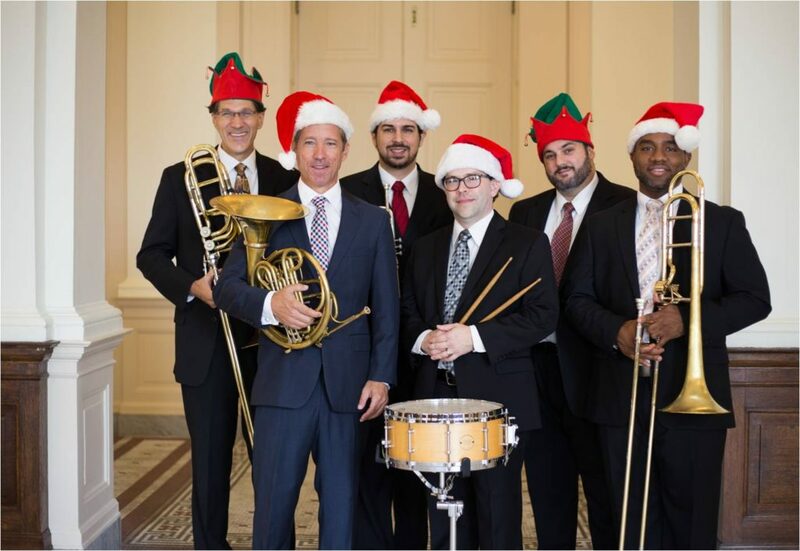 Returning for the sixth year, the Charleston Symphony Orchestra Brass Quintet will present a festive Christmas concert at our church Monday, December 17 at 7PM. Last year’s concert was presented to a capacity audience. Unfortunately many folks were disappointed they were unable to secure tickets. Everyone is invited to attend and encouraged to bring a friend, family member, and neighbor but remember to purchase your tickets early! Don’t miss out – get your tickets early ! Starting Sunday, October 14 tickets will be available for sale in the Music Suite following each worship service. Additionally tickets will be sold starting Monday, October 15 at Markel’s Card and Gift Shop, Kitties Crossing. Ticket prices are $10 for adults and $5 for children. Only cash and checks made payable to Charleston Symphony Orchestra(CSO) will be accepted.